History of Roulette When you see the roulette wheel spinning, you're watching a perfect concoction of mathematics and science. The invention of the wheel is generally credited to Blaise Pascal in the mid 17th century. He was exploring the idea of a perpetual motion in a bid to improve his early calculator, the Pascaline, and the result of these experiments was the famous spinning wheel now so familiar to casino dwellers. 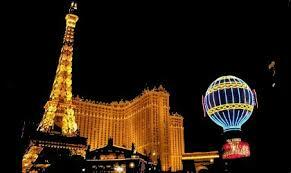 The mathematics of that first wheel have been since altered to give casinos a constant 'edge'. 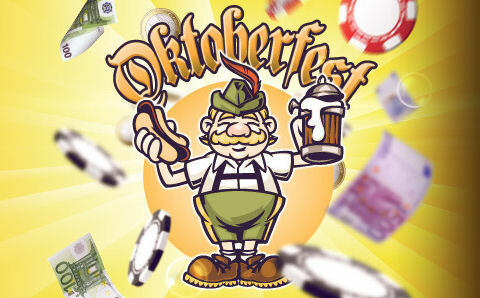 Initially, a simple 'heads or tails' bet, such as red or black, or odds or evens, really did produce a 50/50 outcome. This changed in the middle of the 19th century with the arrival in Monaco of the Blanc brothers, Francois and Louis. It was the Blancs who largely turned Monaco (with its newly liberal betting laws) into the gambling haven of recent times. Besides their impressive developing projects, though, they came up with the idea of adding a 'zero' square to the roulette table. At one fell swoop, this switched the odds in the favour of the house. Betting on 'red' went from carrying a 50% chance of success to a mere 48.6% - even though the payout remained a simple 1 to 1. This gave the house an edge of 2.7%. Worse would come later, when American tables added a second 'double zero' (often replaced with an American eagle) to increase the edge to 5.4%. 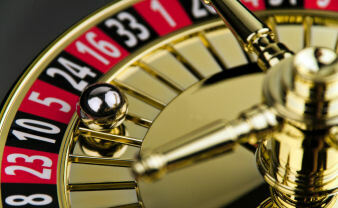 Roulette has always been of interest to those looking to 'crack the system'. Joseph Jagger, the British engineer who would be immortalised in song as 'The Man Who Broke the Bank at Monte Carlo', worked out that mechanical imbalances in roulette wheels could result in some numbers coming up more than others. 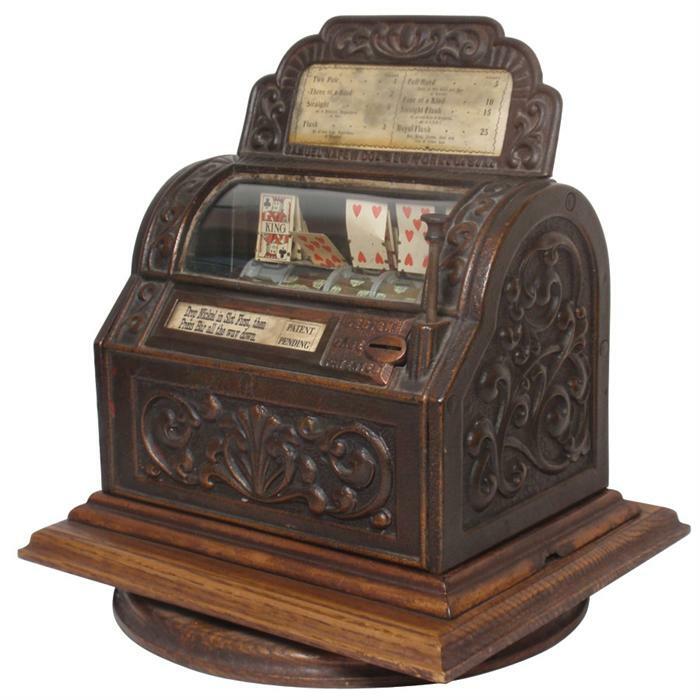 Hiring six clerks in 1873 to record the sequences on wheels at a Monte Carlo casino, he was able to use the information to extract a huge amount of money before his plan was revealed and the wheels improved. He retired very rich. 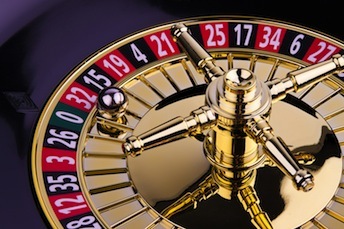 As recently as the 1990s, the reliability of wheels has been called into question, and Gonzalo Garcia-Pelayo won a substantial amount of money by working out that some numbers were more likely to come up on the wheel in a Madrid casino. He was taken to court, but the judge ruled in his favour, saying it was the responsibility of the casinos to take care of their wheels. The basic roulette table consists of a series of squares, numbered from 1 to 36. Odd numbers are red, and even numbers are black. European-style tables have an extra green 'zero' square, while American-style tables have an additional green 'double zero'. The roulette wheel is spun, and if the ball lands on your 'number' then you win. The most common bets are to place your chips on either red or black, or on odd or even numbers. The High/Low bet lets you guess whether the ball will fall within squares 1-18 (low) or 19-36 (high). Alternatively, the 'Dozen' bet gives you not two but three outcomes to bet on - will the ball fall within squares 1-12, 13-24, or 25-36? The basic bets are referred to as 'Outside' bets, but you can also opt for more exotic 'Inside' bets. These have big payoffs but low probabilities of success. A 'Straight Up' bet lets you place your chip on one number (giving a potential payout of 35 to 1), whereas a 'Split' lets you place the chip across two numbers, for a payout of 17 to 1. 'Street' bets involve wagering on a row of three numbers (for a payout of 11 to 1), while 'Line' bets cover two rows, giving you six possible numbers and a payout of 5 to 1. The final 'Inside' bet, the 'Corner', lets you place a chip across four numbers, for a payout of 8 to 1. 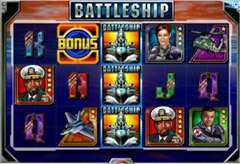 Playing Roulette on your computer may be convenient, but it lacks the glamour and player participation of the real thing. More and more online casinos are trying to brook the gap with a Live Dealer option, a good example of an online casino thats trying to do that at the moment is metro casino . This lets you see the wheel being spun in real time, and also allows you to interact with the dealer and (in some cases) the other players. This certainly adds to the sense of 'event' surrounding your session. It can, of course, add pressure, as you feel the presence of the other players around you as you choose your bet. Nonetheless, the extra excitement generated by the 'live' aspect will be a definite plus for many people. Roulette players tend to be a suspicious bunch. Armed with systems and cunning betting strategies, the Roulette enthusiasts seem surer than anyone that they can be the ones to crack the legendary house edge. This leads to a particularly virulent brand of injustice when players feel that they've been undone by an unfair run of misfortune. Roulette games that rely on RNG (Random Number Generators) rather than Live Dealer video are particularly open to these claims. Theoretically, RNG games are vetted externally. However, many players seem convinced that statistically unlikely long sequences against them are particularly common on RNGs, the inference being that the system is targeting individual players and ensuring that they lose. In a Live Dealer game, it's harder (although certainly not impossible) to fake a spin, and the presence of other players in the same game makes it less likely that individuals will become targets. The big advantage of RNGs is being able to choose your speed. You can remove all animations and rattle through a sequence of spins in very little time. Conversely, you can choose to ponder and contemplate your next move with no pressure at all. Whether this overcomes the lack of atmosphere and possible decrease in integrity is up to the player. Tips to Get Started If you have a choice, choose the European-style table rather than the American. The latter has two zero squares, whereas the European version only has one zero. This ensures the house has a smaller edge in the case of the European-style table. On some European tables you may be offered 'En Prison'. Take it! This means that, if the zero comes up, your bet won't automatically lose, but will be suspended until the next spin. If your bet wins on the next spin, you get your original stake back - although you won't be given any winnings. This effectively gives you an extra half-chance, and cuts the house edge to a mere 1.35%. Try and get creative with your staking, and don't ignore the Inside bets. You can even increase personal interest by spreading chips across the table to create interesting 'shapes' like circles or snakes. The house edge remains pretty constant. 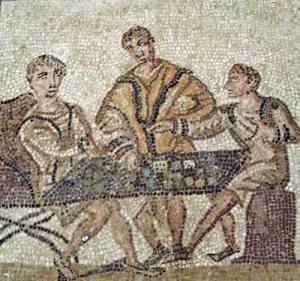 The exception is the 'Five' bet, which is offered on some American-style tables. This involves covering numbers 1-3 and the two zero squares. Here the house edge jumps to a painful 7.89%, so steer clear. Betting strategies can't unravel the house edge. Many players adopt a Martingales system, whereby you play a '50/50' bet, such as red or black, and double up each time you lose. The theory is that you keep going until your colour comes up - when it eventually does, you'll make back all of your losses plus an extra chip. 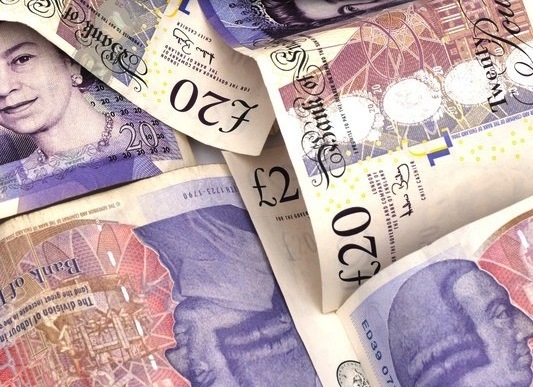 The reality is that the amounts needing to be wagered can become scarily large relative to the amount being targeted - if you start by placing a Â£1 bet, a succession of eight spins against you would result in running losses of Â£255, all for the sake of making a single pound. Even if you have an unlimited bankroll, table limits will intervene and prevent you from carrying on. So don't waste time and enjoyment on mechanical 'systems'.